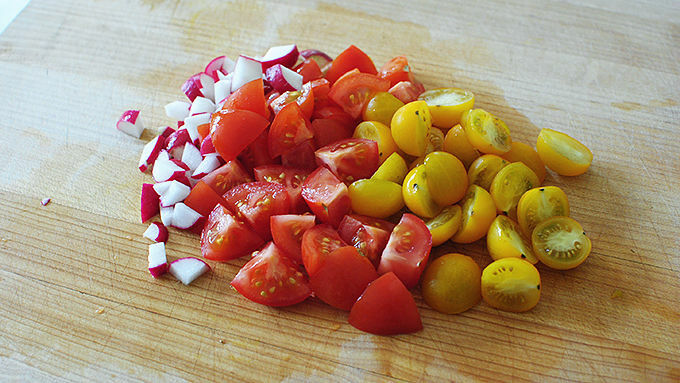 In a medium bowl, toss together the tomatoes, radishes and parsley. 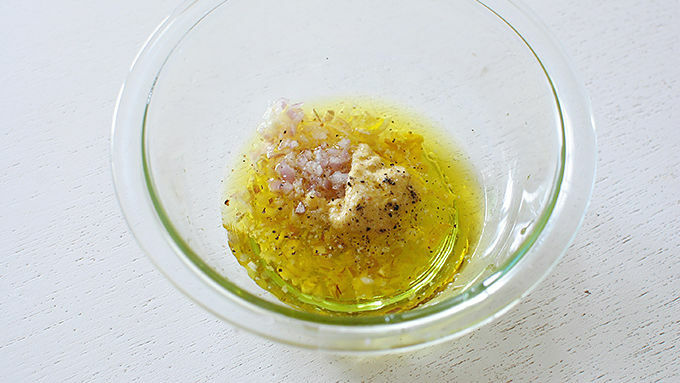 In another small bowl, whisk together the shallots, Dijon mustard, oil, lemon juice, and salt and pepper. Pour half of this mixture over the tomatoes, then cover and chill. Pour the other half of the mixture over the shrimp as a marinade. Chill the shrimp for 30 minutes. Heat an indoor or outdoor grill to medium high. 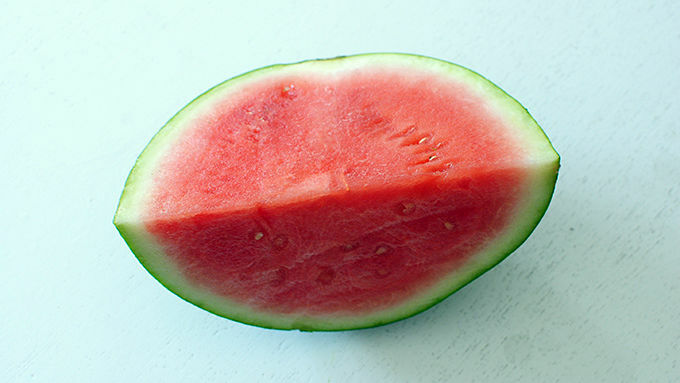 Add the watermelon slices and grill until you see grill marks on both sides, about 10 minutes total. Remove from the grill and set aside. 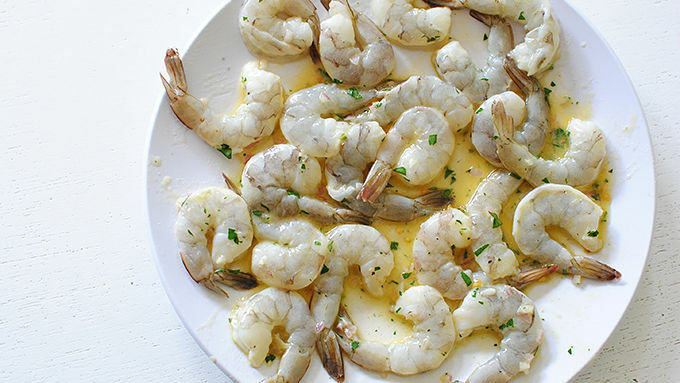 Place the shrimp on the grill and sear until shrimp are opaque with grill marks. The watermelon will be very watery, so pat dry before assembling. Place the grilled watermelon on a platter, top with shrimp and tomato-radish relish. Serve immediately. New favorite thing in the entire world: Grilled watermelon. The end. But not the end. Because you have to try this and fall in love with living all over again. GRILLED WATERMELON. You've probably already done it and I'm just late to the par-tay. It's so good! It brings out a flavor in the watermelon that I never knew could even be. It's like grilled water. Isn't that bizarre? Grilled water flavored with melon in a little slice. Unreal. Try it. 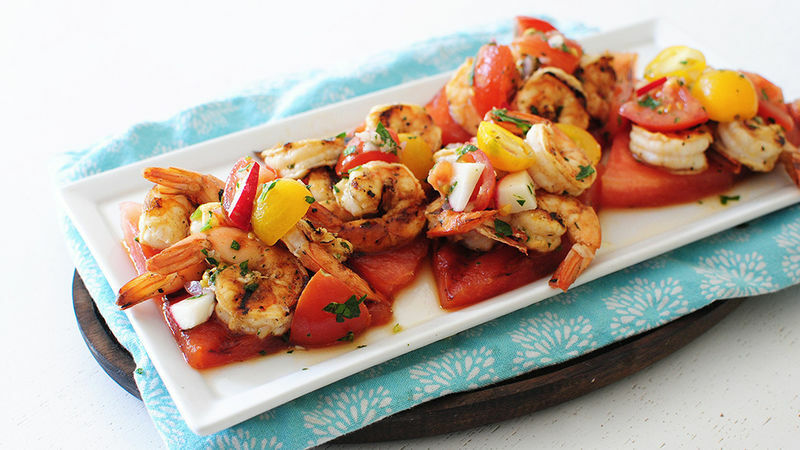 But try it with grilled shrimp on top AND a super fresh tomato and radish salad. It's rifreakingdiculous good. I got the inspiration from this here recipe, but I changed a few things because I like to be complicated. Why is summer so good? GRILLED WATERMELON. That's why. 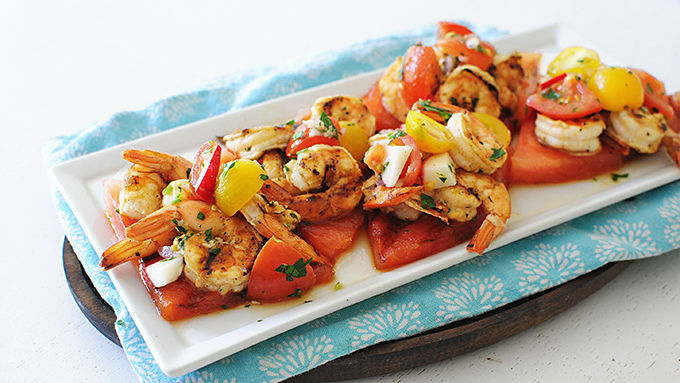 Once you grill your watermelon slices and your shrimp, you just top the watermelon with the shrimp and the reserved tomato salad. Bam. I WILL SAY, the grilled watermelon is extremely watery, so you may want to pat it dry before serving. Also! If you don't care to get all fancy with the presentation, just toss it all together in a big bowl and dig in. It. tastes. amazing. Did I mention the watermelon is grilled?